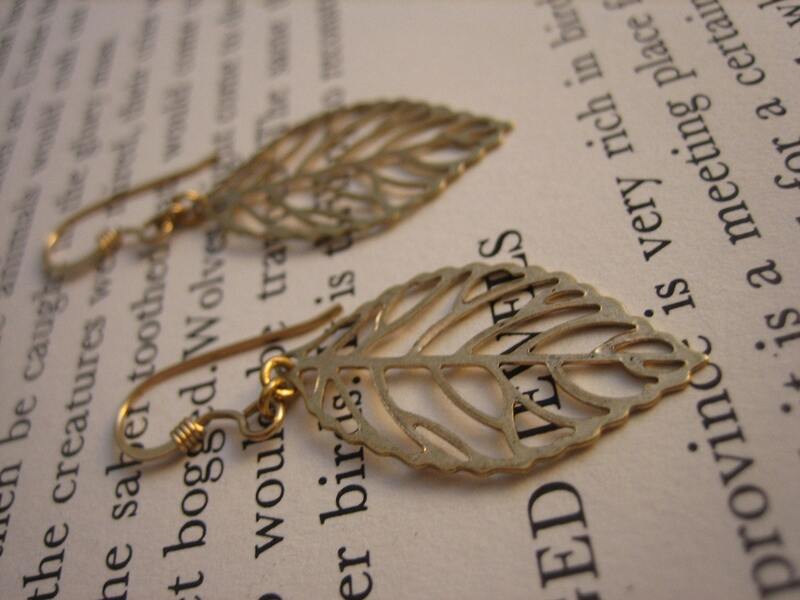 These gold tone leaf shapes are stamped into natural, organic shapes, with a lovely vascular pattern. Each is hung from gold tone ear French ear hooks. Amore Valkyrie crafts fine handmade silver jewelry, leather wrap bracelets, semiprecious stone and precious gemstone jewelry, exotic pendants, slave bracelets and more.